All good things must come to an end and we’re sorry to say that the Chick Lit Author Blog Hop is over. This was our first hop and we loved every minute of it – we’re thrilled to have met so many new readers and authors! We want to thank all of the Chick Lit lovers for hopping around and leaving comments. We also owe a big thanks to Tracie Banister (author of “Blame it on the Fame”) for all of her hard work in putting this hop together! Tracie announced the winner of the $150 Sephora gift card on her blog today- congratulations to Tiffany White! We hope you enjoy it! We’re also excited to announce that we’ve decided to give away two e-book copies of UNSCRIPTED today! The first name was chosen by random drawing… and the ebook goes to…Amy Sherman! The next copy goes to Isdarlys! We loved our back and forth and wanted to thank her for her thoughtful responses. Congratulations and happy reading, ladies! Thanks again to everyone for participating in the hop! We had a blast and hope you did too! We had a great blog tour! 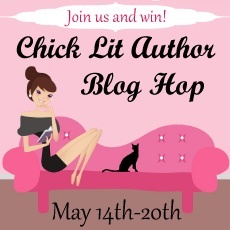 Click for details on our Chick Lit Plus blog tour! Come check us out on Tess Hardwick’s blog… it’s 20 Thursday time where we answer the question: What would you tell your 20 year-old self?